Explanation: Go outside tonight and see Comet Lulin. From a dark location, you should need only a good star map and admirable perseverance -- although wide-field binoculars might help. Yesterday, Comet Lulin passed its closest to Earth, so that the comet will remain near its brightest over the next few days. The comet is currently almost 180 degrees around from the Sun and so visible nearly all night long, but will appear to move on the sky about 10 full moons a night. 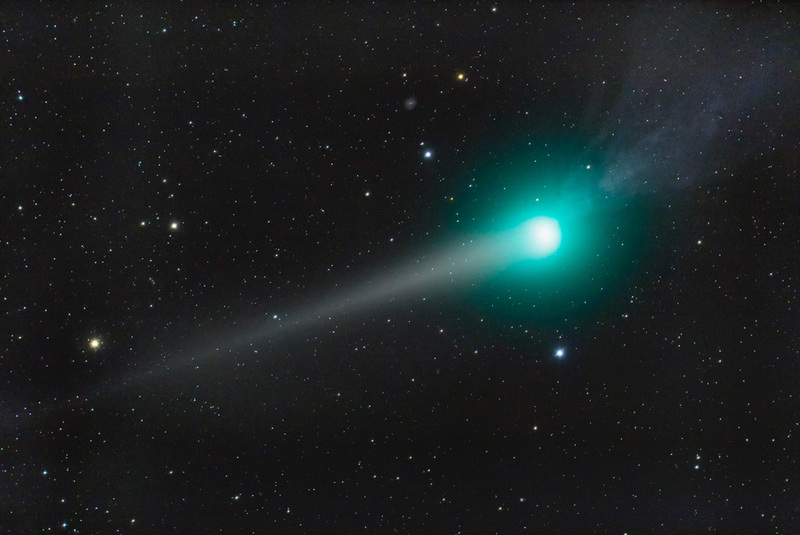 In this image, Comet Lulin was captured in spectacular form two nights ago from New Mexico, USA. The central coma of the comet is appearing quite green, a color likely indicating glowing molecular carbon gasses. Bright stars and a distant spiral galaxy are clearly visible in the image background. The yellow dust tail, reflecting sunlight, is visible sprawling to the coma's left trailing behind the comet, while the textured bluish-glowing ion tail is visible to the coma's right, pointing away from the Sun. Over the past few weeks, from the current vantage point of Earth, these two tails appeared to point in opposite directions. 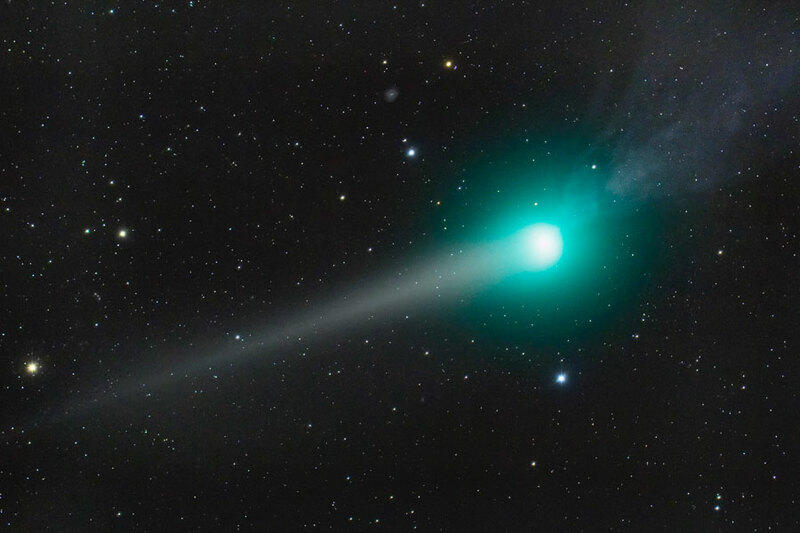 Comet Lulin is expected to slowly fade over the next few weeks.